Sometimes it's no picnic putting together your own Steampunk styled costume, especially when you consider how much can go into one. But luckily, Medieval Collectibles is here with our handy Womens Steampunk Costume section, which has everything you'll need to create your own Steampunk look, including full costumes and the accessories that go with them. Of course, a good base is the perfect way to start with a Steampunk look, and you'll find plenty of good starts here in this section. You'll find costumes that are perfect for creating a variety of looks, beyond just what their original purpose implies. See a Steampunk costume of a Neo-Victorian Lady? It's perfect for both high society and for elegant captains as they fly the sky. Or if you've got your eye on a sultry Steampunk showgirl costume, you'll be happy to know that it looks great for Steampunk entertainers, and for grease-monkey girls who aren't afraid to get their hands dirty when they work on machines. With these costumes, the possibilities are literally endless! And of course, what is Steampunk without its gizmos, gadgets, gears, and other little accessories that really set it apart? All those are here in full display too, including subtle costume pieces like scarves and gears that can be added to your costume to alter or enhance its look however you see fit! There's absolutely no reason as to why you can't put together your own fantastic Steampunk look, and right here at Medieval Collectibles, we have all the complete costumes and the accessories to go with them that are ready to go for Halloween, costume parties, or just good, clean Steampunk fun! Anyone who says that women do not make good pirates has obviously never encountered a female pirate: they are just as mean and twice as dangerous. But if you want to be a pirate, you have got to look the part, because nothing is quite as disappointing as a lack-luster pirate. Luckily, you are in the right place to find the right look; Medieval Collectibles womens pirate costumes are fantastic and classic pirate looks that will not only make you into the pirate lass you want to be, but also ensure you still look visually stunning, as well. 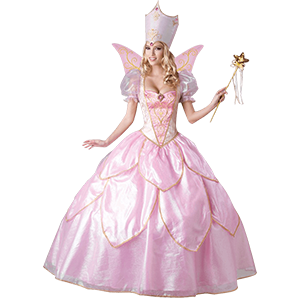 In this section we offer an array of dazzling pirate costumes, as well as a few pairs of pirate boots, to ensure that no matter what manner of pirate you are looking to dress as, you can find it here. If you want a flirty and fun pirate tease, we have a costume that fits perfectly, or if you want a fierce, no-nonsense, cut-throat swashbuckling pirate queen, then we can give you a costume that will have those pirate men bending knee in no-time. And since we have your bases covered when it comes to awesome and authentic costumes, the only question you have to ask is: where and when can I wear this awesome pirate costume? 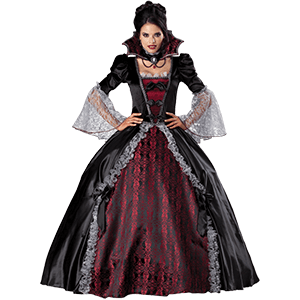 Whether you choose to be wicked or whimsical, you are sure to find a witch costume to suit your style within our Womens Witch Costumes category. 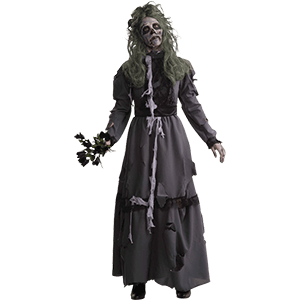 Perfect for Halloween, haunted houses, or any event that calls for a particularly spellbinding outfit, we have a variety of adult witch costumes here both scary and sweet. 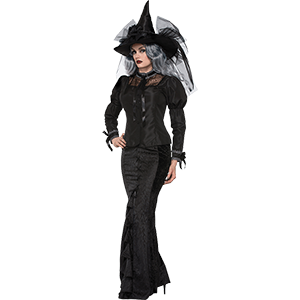 Our witch costumes come in a range of sizes and styles, from classic to modern in their take on this time-honored costume choice. Be any kind of witch you want with this assortment of options! Shop everything from Salem witch costumes to swamp witch costume kits here, as well as sultry witch outfits to wear to your next costume party.